He was a man who preached in the desert about repentance. He knew they were under a sentence from God. His message was simple, he knew deep in his heart, that someone greater would follow. People needed to repent today, not tomorrow. If they didn’t repent there would be great sorrow. 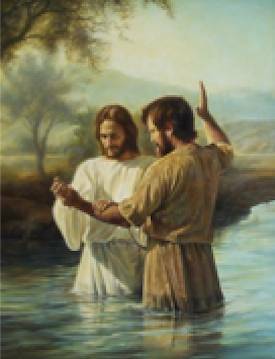 Jesus came to be baptised but he was a man without sin. He set the example, he followed the law. John preached against immorality and greed. His mission was simple, it was his creed. He cared about people and he wanted to help those who wanted to be free. He was captured, imprisoned and eventually beheaded. “Shine forth, and let thy light restore.